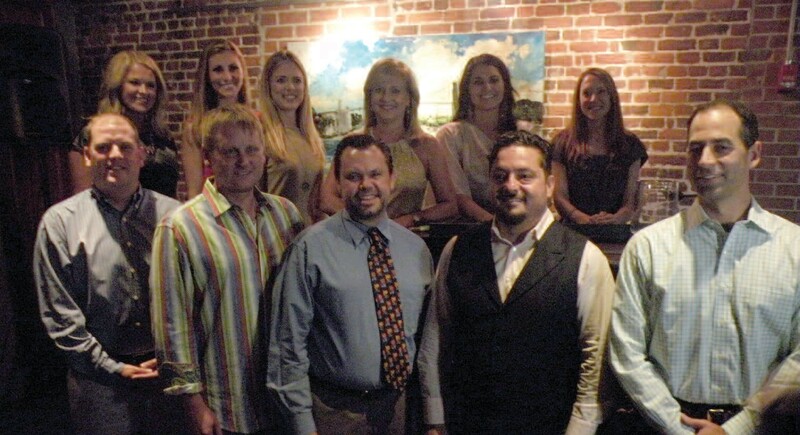 Savannah/ Chatham Court Appointed Special Advocates, Inc. presented its Fifth Annual Dancing with Savannah Stars with a Kick- Off Party to announce the 2012 line up on Thursday Aug. 16, 2012 at Ruth’s Chris Steakhouse. 12 of Savannah’s local celebrities were introduced to showcase their “hidden” talents and begin their fundraising. This casual, networking event was opened to the public. Proceeds from raffle items will directly benefit CASA. Honorary Co-Chairs for the annual event are Ashlea Carson of Carey Hilliard’s Restaurant and Don Logana of WTOC-TV. 2012 Dancing with Savannah Stars: Female Dancers: Jamie Ertle, WTOC-TV; Cassady Lance, WJCL-TV; Meredith Ley, WSAV-TV; Jo Beth Fuller, USA Cargo; Lori Judge, Judge Realty; Shazia Edmonds, Train Me 24/7. Male Dancers: Roberto Leoci, Leoci’s; Darin Sehnert, 700 Kitchen Cooking School, Mansion on Forsyth Park; Chance Raehn, Thomas and Hutton Engineering; Dr. Jacques Beauchamp; Jamie Amerson, Cricket Communications; Scott Weeks, Fox and Weeks Funeral Home. The 2012 Dancing With Savannah Stars will be held Nov. 8 at the Lucas Theater.